American Optical 'Skyway' goggles. Black painted metal frames with individual rubber face cushions. 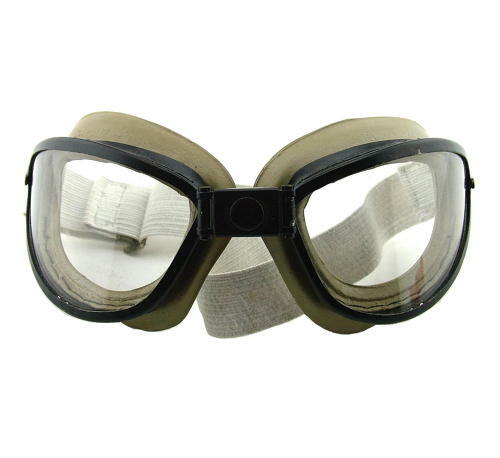 These were designed to take standard AN6530 goggle lenses. This pair is in excellent overall condition with virtually unmarked frames, excellent flexible cushions and strap. Fitted with 'AO' marked clear glass lenses. Superb. Stock code G21250.